College Debt Is Postponing Homeownership—but by How Long? College debt is having a compounding effect on how millennials perceive and plan for homeownership. Homeownership is not the only casualty of student debt—millennials are also postponing career changes, children, marriage and retirement savings, the study shows. 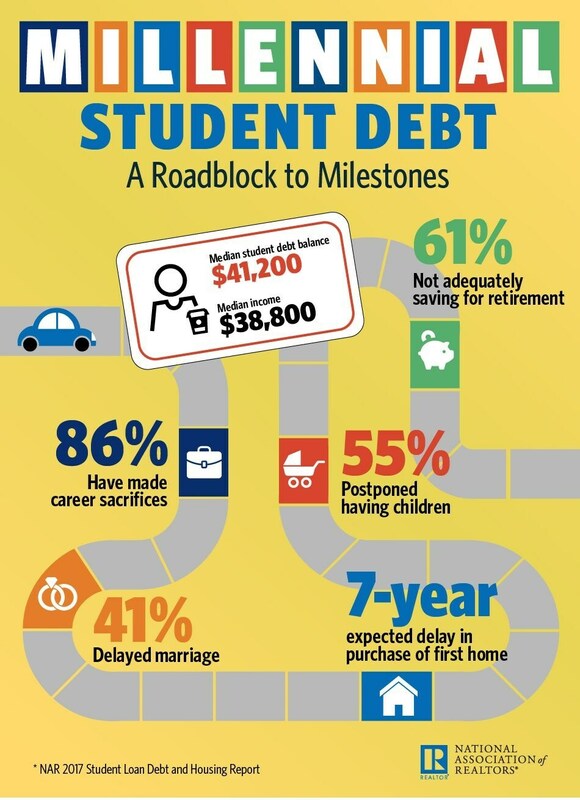 Forty-one percent of millennials have put off marriage; 61 percent have skipped a retirement savings payment; and 86 percent have stayed in an unsatisfying job, or taken on a second job or one outside of their field, as a result of student debt. 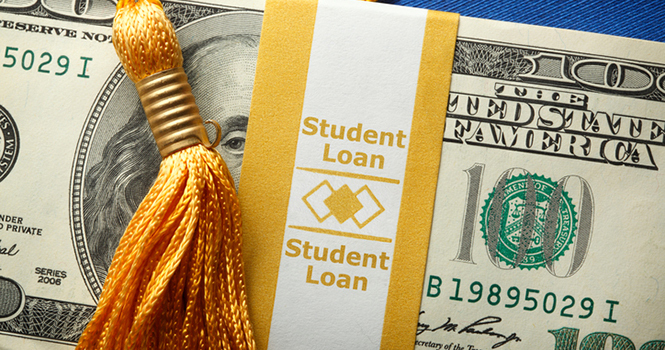 “The tens of thousands of dollars many millennials needed to borrow to earn a college degree have come at a financial and emotional cost that’s influencing millennials’ housing choices and other major life decisions,” says Lawrence Yun, chief economist at NAR. “Sales to first-time buyers have been underwhelming for several years now, and this survey indicates student debt is a big part of the blame. Even a large majority of older millennials and those with higher incomes say they’re being forced to delay homeownership because they can’t save for a down payment and don’t feel financially secure enough to buy.